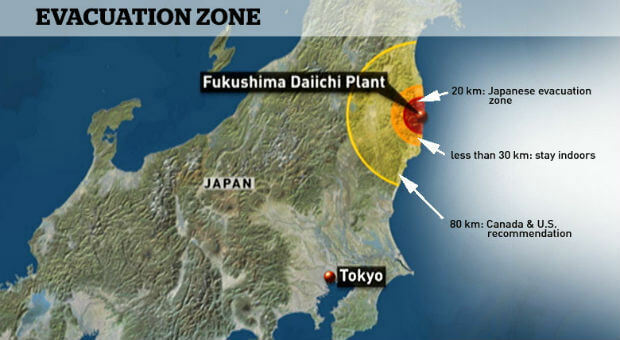 A record high amount of radiation levels has been recorded at Fukushima resulting in a state of emergency at the Japan Power plant. Scientists say that the record amount of radiation comes from the hole caused my melted nuclear fuel which is now on the verge of leaking into the ocean. RT.com reports: Radiation levels of up to 530 Sieverts per hour were detected inside an inactive Reactor 2 at the Fukushima Daiichi nuclear complex damaged during the 2011 earthquake and tsunami catastrophe, Japanese media reported on Thursday citing the plant operator, Tokyo Electric Power Company (TEPCO). This handout image shows a material below the damaged Fukushima nuclear plant's No. 2 reactor, January 30, 2017. © TEPCO / Handout via Reuters Fukushima breakthrough? Japan's TEPCO finds possible nuclear fuel debris. A hole of no less than one square meter in size has also been discovered beneath the reactor's pressure vessel, TEPCO said. According to researchers, the apparent opening in the metal grating of one of three reactors that had melted down in 2011, is believed to be have been caused by melted nuclear fuel that fell through the vessel. “However, they haven't established a proper means of how to decompose the meltdown reactor yet. There not so many ways to decompose it,” the expert noted, adding that he and his colleagues are providing a special technique using ice which, however, has not been approved yet. Yamashiki warned that the complete reduction of the radiation will take hundreds of thousands of years. However, looking on the bright side, he said, “right now, the radiation level is much lower since the reactor hasn't been active for a while." Earlier this week, hopes for a more efficient cleanup at Fukushima were high, as the plant operator announced a portion of nuclear fuel debris responsible for a lot of the lingering contamination from six years ago may have finally been found.